To fully take advantages of the braided version of the patch, in the players.dbf with a DBF editor of your own choice set the "HAIRTYPE" field for Ben Wallace to "4". Fourth of the Classic Teams addons, this patch will automatically add real faces to the '89 Detroit Pistons. The generic faces get the real ones, while some also get updated and made more real, plus every player gets unique shoes, and the accurate gears worn in the Bad Boys era. This patch also includes 89 Pistons jerseys, by Jowe, and the retro Palace of Auburn Hills court by Bru. The patch installs the court automatically just to the retro Pistons. 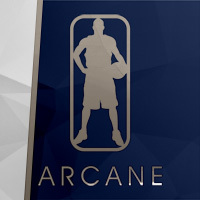 It should also be noted that this patch will work ONLY with the nbalive.org rosters, since no other has these players in them (as far as I know), and the Auto-DBF installer uses the PLAYERIDs from those rosters. Note: For best looking results, use customart, which can now be safely enabled when EA's official patch is applied. It is also strongly recommended to install that first because it fixes custom team crashing bugs. * To add a headband like in screenshot no.2, set the HEADWEAR value with a DBF editor in players.dbf to 54. * to add headband, in players.dbf, with a DBF editor, change HEADWEAR value to 54. Third of the Classic Teams addons, this patch will automatically add real faces to the '87 Los Angeles Lakers. The generic faces get the real ones, while some also get updated and made more real, plus every player gets unique shoes, and the accurate gears worn in the Showtime era. This patch also includes 87 Lakers jerseys, by Jowe, and the Great Western Forum court by Bru. Note: For best looking results, use customart, which can now be safely enabled when EA's official patch is applied. Second of the Classic Teams cyberface addons, this patch will automatically add real faces to the '96 Chicago Bulls. The generic faces get the real ones, while some also get updated and made more real, plus every player gets unique shoes, and the accurate gears worn in the 1996 NBA Finals. Note: For best looking results, also install Jowe's 96 Bulls jerseys which you can download below. That patch will not affect the current Bulls jerseys. First of the Championship Teams cyberface addons, this patch will automatically add real faces to the '95 Houston Rockets. The generic faces get the real ones, while some also get updated. This patch was made with Nick's help. * - custom shoes, and alternating away wristands will not work if the non-customart install option is selected. Credits to Devastator and Jowe for their contributions. Credits to Devastator for his contributions too. Last edited by Tony on Sun Aug 22, 2004 10:44 pm, edited 31 times in total. hey tony, can you make and allen iverson patch please ?? Yeah, it doesnt get any better than that. solid.great face as usual Tony. What exactly did Jowe and Devastator contirbute? I really like that Peja. amazing how you took care of the details. impressive work tony!